In 1985, Connecticut’s Erik Barath and Dennis Gergely birthed I.N.C. out of the frustration and annoyance arisen by the cookie-cutter bands plastering videos on the sole cable station to bring music alive and deliver it to the masses, MTV. 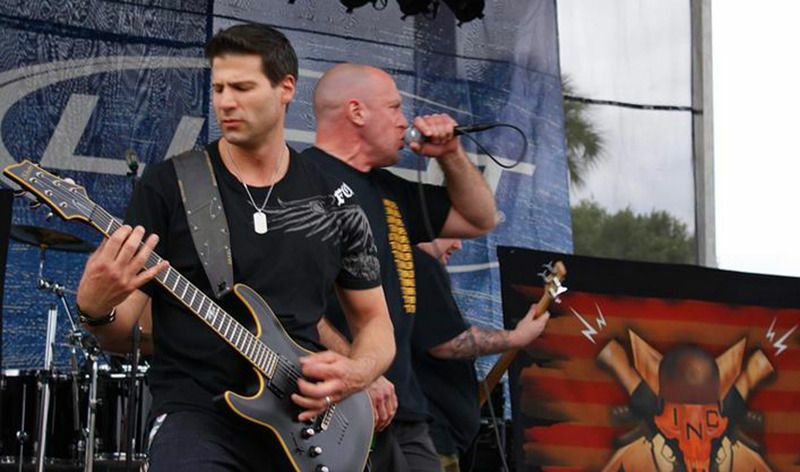 This hunger to create more than the norm was what harnessed Erik and Dennis’ energy to form Indestructible Noise Command. Intent on not wasting their precious time on such feeble pursuits, they drove the angst they felt into the type of music they wanted to see assaulting them from off the small screen; Angry, resentful, aggressive, violent, and vicious. As soon as guitarist Anthony Fabrizi and ex-drummer Gary Duguay got on board, I.N.C. starting booking local gigs – playing anywhere that their message could be heard.“We were angry and wild,” states guitarist Erik Barath. “[That music] didn’t represent what we were feeling. Aggressive Thrash Metal was our outlet and our truth.”The still relatively new Indestructible Noise Command crew recorded a demo tape in 1986 and immediately started booking bigger shows, appearing on stage with the likes of Exodus, Megadeth and King Diamond. Less than a year later and only six months after their high school graduation, I.N.C. were signed to Giant Records to begin work on their first full length album, Razorback, which was released in 1987.Critics and fans throughout the tri-state area were hammered over the head by what they heard. The band’s heavy, destructive style translated well to stage and to vinyl. But why stop at one album when you can turn around and crank out another that’s even wilder and weirder than the first one?I.N.C. used their 1988 album, The Visitor, as a showcase for what made them stand out in the first place. The album won I.N.C. a place in thrash metal history as probably the only band bold enough to blend razor-blade-edged, raging guitar riffs with the kind of vocal peculiarity only Dennis Gergely could provide.Back on the road, bands like Pantera started opening at I.N.C. gigs. People were lining up in droves to take in the spectacle that is Indestructible Noise Command. In 1988, I.N.C. hit #1 on the U.S. college metal charts and stole the U.K. #2 import slot out from underneath Aerosmith.After recording and releasing Razorback and The Visitor, the band was hopeful. They were booking great gigs and their thrash metal antics won over throngs of underground fans as well as respectable music critics to make a virtual overnight success of what started in response to a hatred for putrid, repetitive music.After funding from Giant Records began to lose steam, I.N.C. decided to step back and assess the weary record contract landscape for what it was. The band was determined to build a life outside of the metal arena until they were able to finance their own comeback and then launch into a full-fledged resurrection.As one savvy Carlos Ramirez pointed out on AOL’s Noisecreep.com, “In the years since their initial breakup, [I.N.C.’s] eccentric brand of metal has been embraced by a new breed of record collectors, proving that their style was definitely ahead of its time.”And now sees the new age of Indestructible Noise Command. Emerging as the band’s first offering in 20 years, the Bleed the Line EP was written, recorded and produced by the band between the spring and summer of 2010, aside from the single ‘God Loves Violence’, which was cut by seasoned producer Fredrik Nordström (At the Gates, In Flames, Opeth). The Bleed the Line EP was released on the band’s label, M90 Records.Within the first six weeks of completing the Bleed the Line EP (2010) recordings, even before the CDs were pressed, I.N.C. has created an enormous buzz. In a few short weeks, I.N.C. has been added to stations around the world including the great KNAC in Los Angeles, WREK Atlanta, WRBC, WLFM and WEOS in New York as well as the syndicated European FM metal show, The Metal Abbey show. In it’s first week, the Bleed the Line EP debuted at #4 Most Added on the CMJ Loud Rock charts. 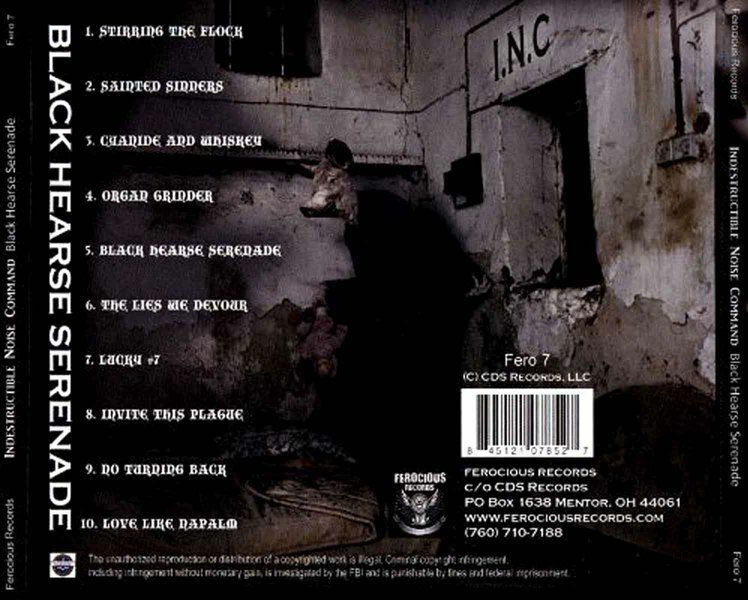 The EP entered the charts at #12, which is rare for an offering other than a full length LP.Although a more straightforward version of the music video for single ‘God Loves Violence’ was released at MetalUnderground.com this year, I.N.C originally debuted a more violent version in 2010. This video shocked the metal industry when it received over 50,00 views in just a little over 2 weeks. The song and video impressed the producers at Scuzz TV so much, they immediately requested a hard copy and since then added ‘God Loves Violence’ to their weekly playlist. This addition gives I.N.C. heightened exposure to hundreds of thousands of metal fans every week.I.N.C. recently announced their signing with UK record label Rising Records. The band will be releasing a new full-length album later this spring with the label, entitled Heaven Sent, Hellbound. The release is being produced by world-famous record producer Fredrik Nordström (At the Gates, In Flames, Opeth), and the artwork is illustrated by famous artist Sam Shearon (Iron Maiden, Rob Zombie, Fear Factory). The album is due out late spring of 2011. 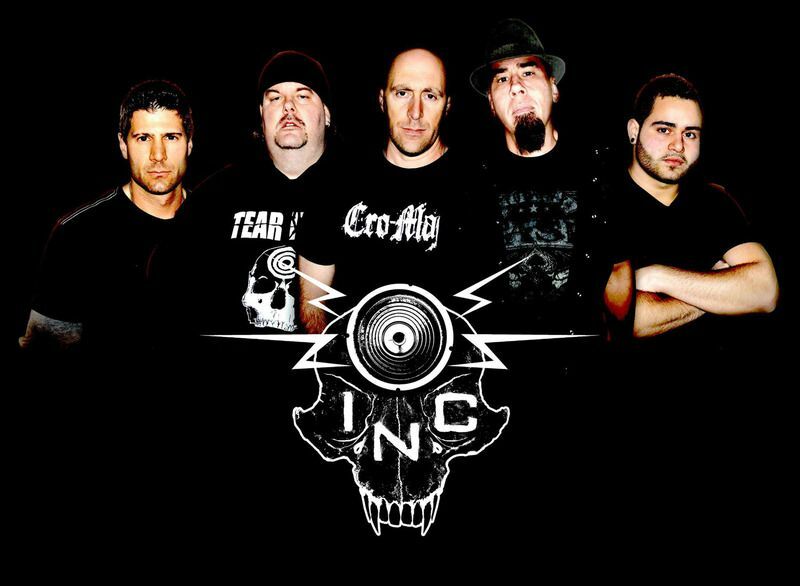 Extreme metal band INDESTRUCTIBLE NOISE COMMAND (I.N.C.) will release its new concept album, "Black Hearse Serenade", on October 21 via Ferocious Records (an affiliate of CDS Records, LLC). You can pre-order the album now at this location.The artwork for "Black Hearse Serenade" was illustrated by world-renowned dark artist Sam Shearon. Shearon's countless creations include cover art for many popular mediums, including album art for bands such as MINISTRY, BIOHAZARD, ROB ZOMBIE, and more.I.N.C. guitarist Erik Barath states: "The art reflect the theme that religion can be used as a weapon by those who dwell in its darkest corners. "Barath offers more details on the concept behind "Black Hearse Serenade": "'Black Hearse Serenade' tells a story, set in Southern California, about a broken man, his congregation of runaways, junkies and lost souls and a murderous path to finality. A childhood filled with embarrassment and shame, born of religious zealotry and an overbearing mother, that broken child has now become a man. "The bulk of "Black Hearse Serenade" was recorded at Dexters Lab Recording, the studio owned and operated by Nick Bellmore (otherwise known as Nicholas T. Rage from TOXIC HOLOCAUST, who personally engineered and mixed the album). All of Erik Barath's lead guitars and piano/keyboard parts were recorded in Cyprus with Philip Zilfo. "Black Hearse Serenade" was then mastered by Jeff Lipton at Peerless Mastering. 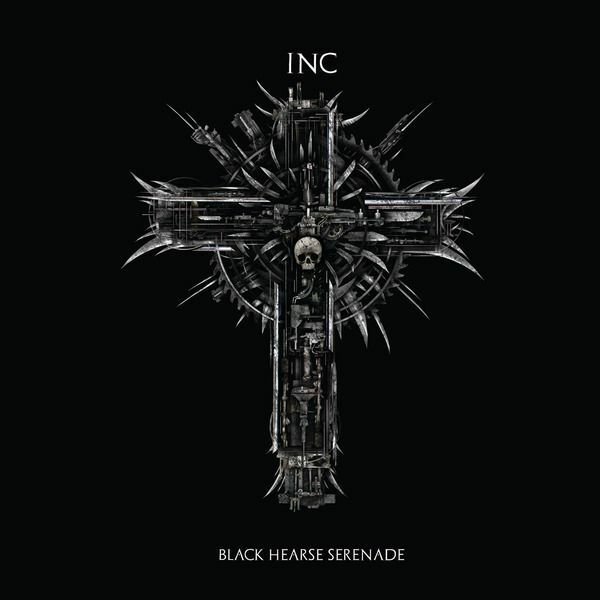 "Black Hearse Serenade" marks a substantial step forward for I.N.C., while also representing a bit of a departure from the sound they've been recognized for in the past. Fans should expect the unexpected with "Black Hearse Serenade", as each song has its own, unique DNA. I.N.C. has broken out of the thrash box with this album, and hopes to bring its existing fans along for the ride.